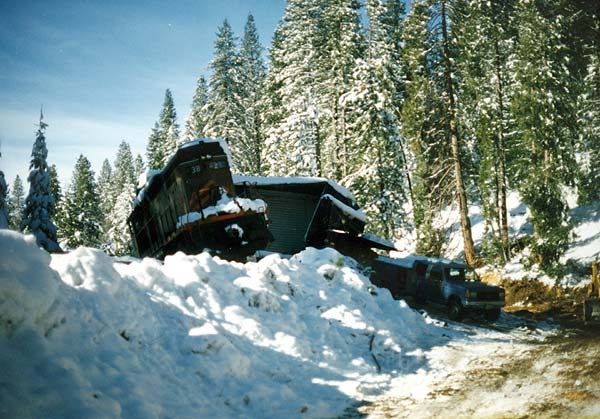 On 18 January 1996 a Yard & Hill job went about its usual chores of weighing and sorting cars brought from Burney the day before as well as other switching duties in the yard. The two man train crew consisted of engineer Michael Zetocha and conductor Dale Bran. After completing switching in McCloud the crew performed the required air test and set out for Mt. 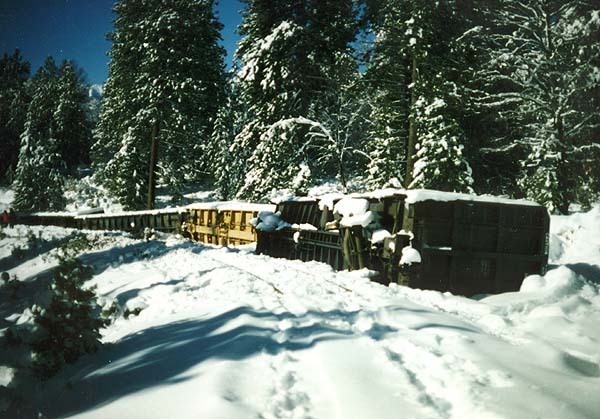 Shasta City with an 11-car train consisting of 10 loads of lumber and woodchips, one empty Ventura County Railway boxcar that had come to the McCloud shop for some work, and a caboose. 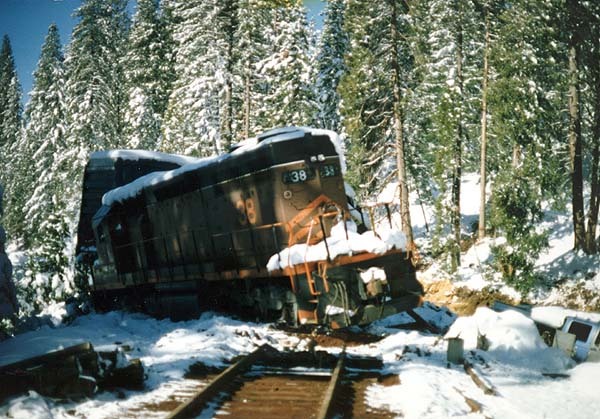 All went well until the train started down the west side of the mountain, with the locomotives controlling the downhill movement from the uphill side of the train through the use of dynamic brakes. Somewhere on the hill the units somehow slipped out of dynamic brakes and the train started racing down the hill. 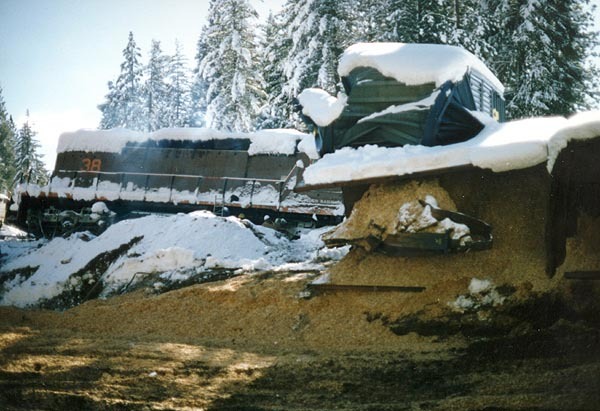 The engineer tried several brake applications without any effect. 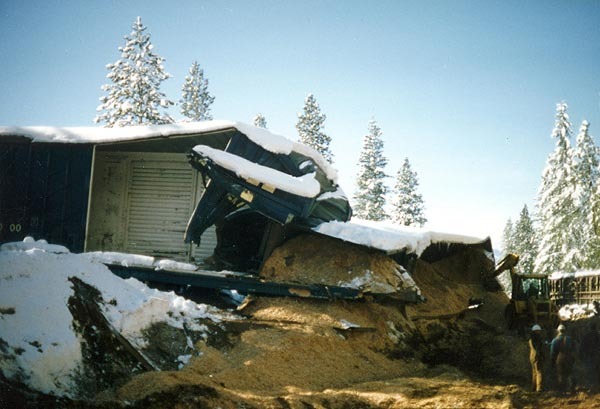 The runaway train left the rails on a 15-degree curve at a speed of 37 miles per hour near the old site of Howard. All 11 revenue cars and locomotive #38 left the rails; the caboose broke free of the train and rolled downhill for another two miles before coming to a stop. 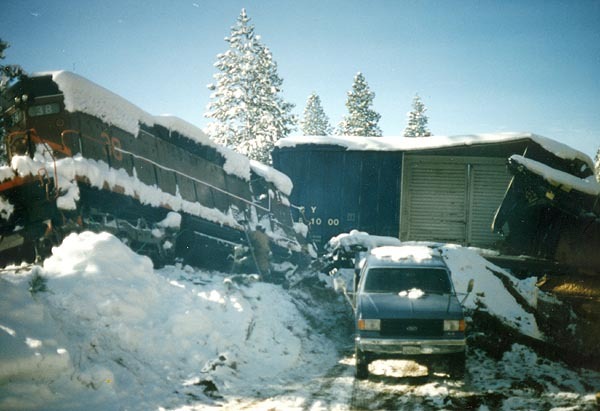 Dale rode the caboose the whole way and tied down the handbrakes to no avail; the caboose lifted one side completely off the rails in a few spots but managed to stay upright until it stopped, probably due in large part to the trucks being chained to the frame. The wreck caused an estimated $4,000 worth of damage to the track and $139,872 worth of equipment damage. 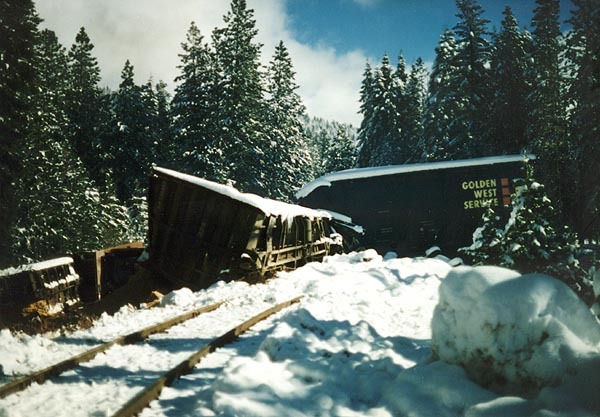 The railroad re-railed the #38 and took it to McCloud for repairs; the cars were pushed the cars off to the side of the track, where they stayed until the following spring when melted snow finally allowed the railroad to clean up the wreck. Travis Berryman took these photos the day after the wreck. All are used here with permission.